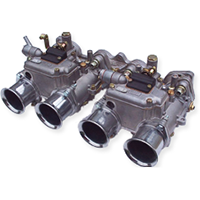 Part number: MCM03 Categories: PHBL parts, SS1 & SS2 Parts, Manifolds. Tags: bolt, carburettor, centres, clamp, Dell'orto, diameter, engine, finish, flange, hole, length, manifold, manifolds, Motorcycle, mounting, outer, PHBH, size, Stub, thickness, Total, Trumpets. 2 bolt engine manifold stub to suit clamp mounting carburettors.